The Mount’n Tilt, otherwise known as the MNT, is the Mount’n Mover “table-top” solution that works great on any desk, or even in bed or on your lap! Compatible with any other Blue Sky Designs Quick Release Plate, you can quickly switch out between reading, communication, work on the computer or just having fun with your iPad. 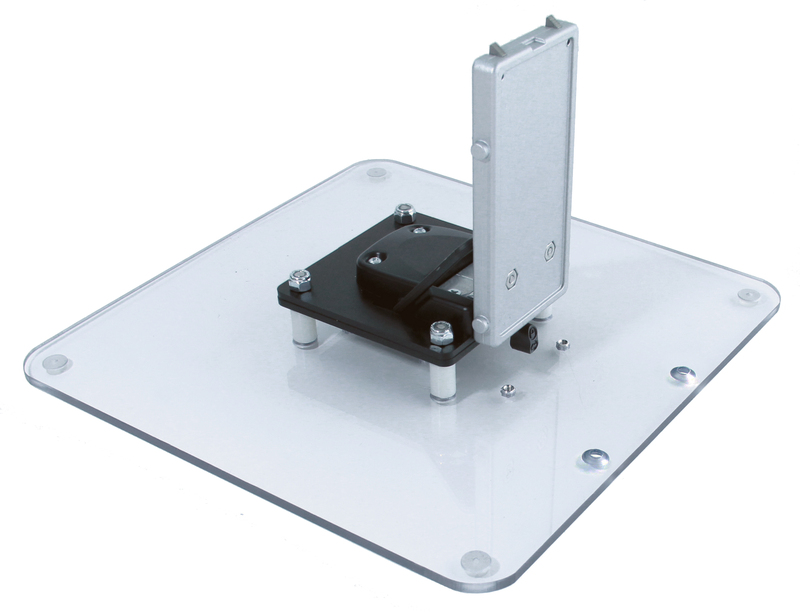 Made for surface mounting; Lightweight, portable; Only available with Light Torque Hinge. 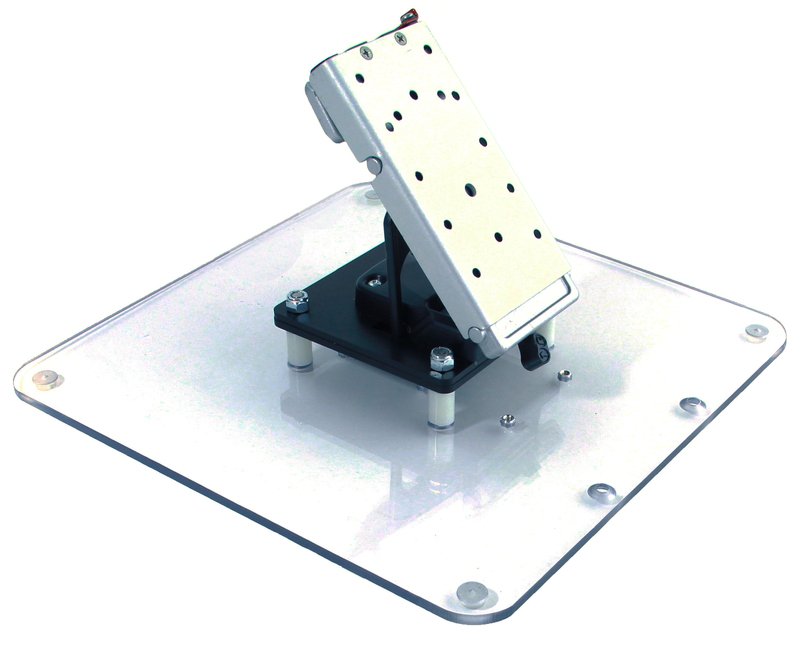 Quick Release Plate (QRP) not included. Utilize the flexibility and positioning of a Mount'n Mover at a table! Clamps to any desk from as thin as ¼" to 3"
Height adjustibility on the fly!